While x.ai is young, the features and functionality already in place satisfy a strong need in the marketplace. I'm already excited about bringing Amy on board so she can manage my schedule. If I had to name the business task I hear the most complaints about, it would definitely be setting up meetings. Apparently nothing is more tedious than the seemingly never-ending back-and-forth emails that continue until everybody finally agrees on a time and place. Wouldn’t it be great if someone could handle that big ball of bother for you? 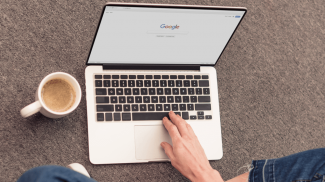 Back in the day, you might have had a secretary do so however, in these current days of lean workforces, hiring a secretary to handle your meetings seems like a pipe dream. At least it did until x.ai created someone who can handle it for you. 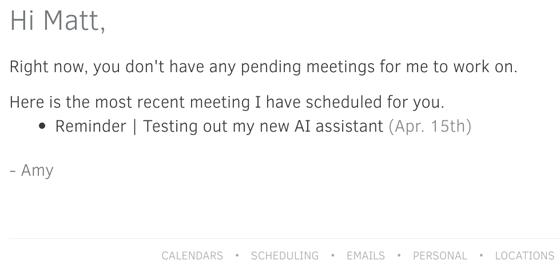 Yep, you read that right — x.ai created someone, or more specifically something, to handle the task of negotiating and setting up your meetings. The thing of it is, when you use the AI powered personal assistant x.ai, it feels like you’re interacting with a real person. Her name is Amy Ingram. I’m not going to delve into the technology behind Amy in this post ’cause that’s a huge topic all of its own, one discussed in detail over on x.ai’s blog. 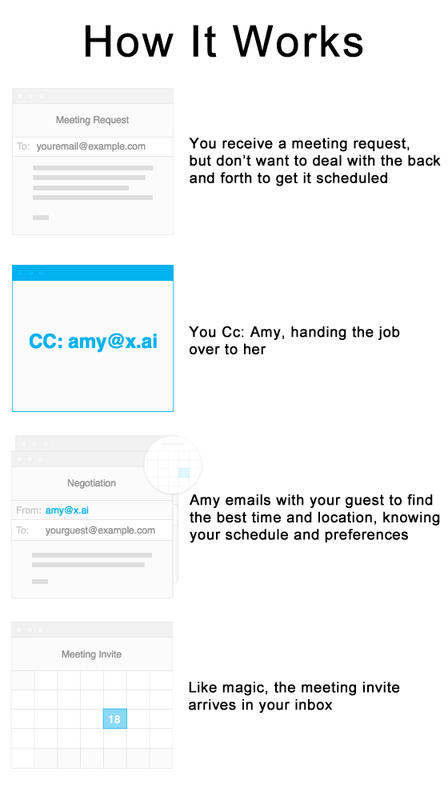 Suffice it to say, Amy uses machine learning and natural language processing (NLP) to read and understand the emails she receives so she can schedule your meetings. The awesome thing about the exchange above is the fact that it was conducted in everyday English. 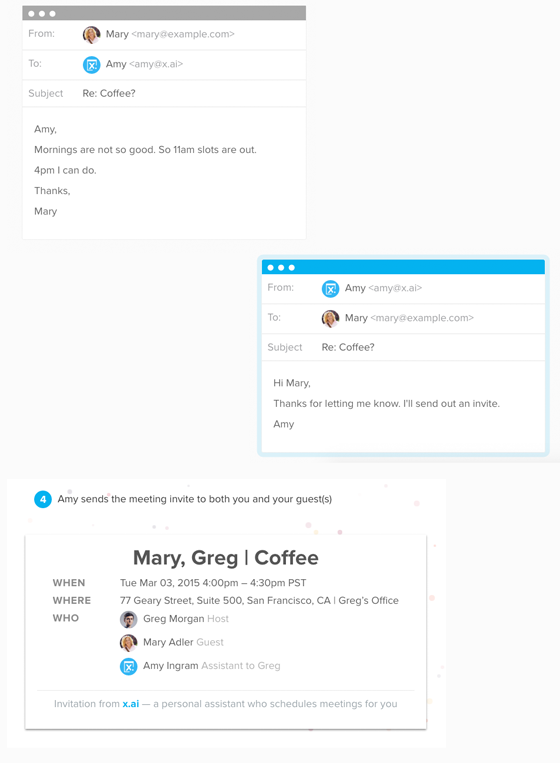 No codes or shorthand to learn — it’s like Amy is a real person who’s sitting just outside your office arranging the meeting. Of course, there’s a lot happening behind the scenes here. For example, in the second step, how does Amy know where your office is? How does she know when you have openings in your schedule? 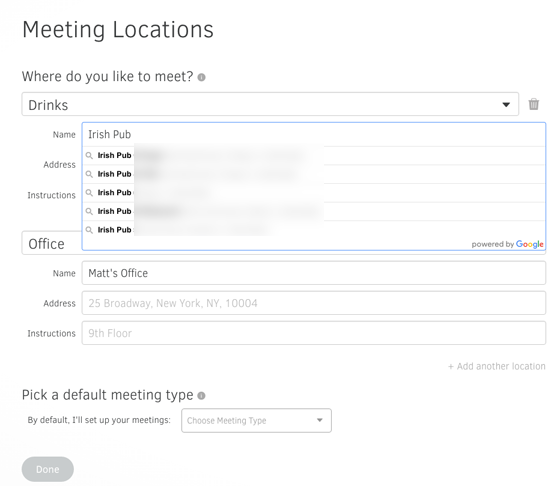 Can Amy set up meetings in places other than your office and how will she know where they are? The quick answer is that you can teach Amy all about yourself and your preferences. Let’s take a detailed look at that process. As you can see, Amy shows you the current and pending meetings that she’s added to your schedule. Note that she will not show every meeting, only the ones she handled. 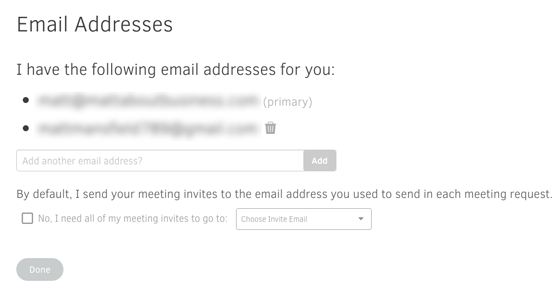 The gray links below the meeting list provide access to the spots where you can set your preferences. 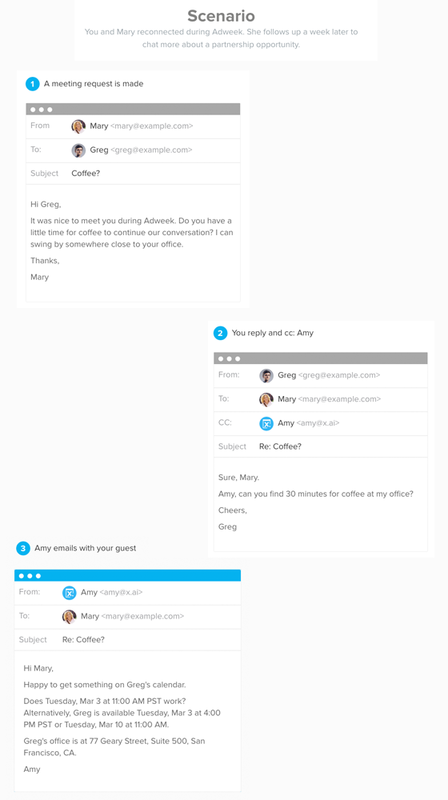 Currently, personal assistant x.ai integrates with Google Calendar only though the team behind Amy is, “working very hard on a full integration with Microsoft Exchange/Outlook calendars”. 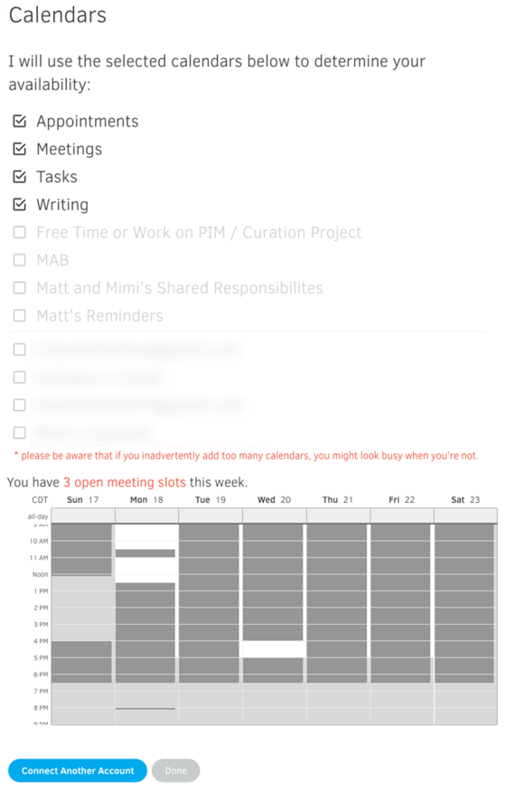 Not only can Amy use your calendars for scheduling, she can also utilize the calendars to which you’ve been given access (these are the grayed-out calendars under the horizontal line in the image above). 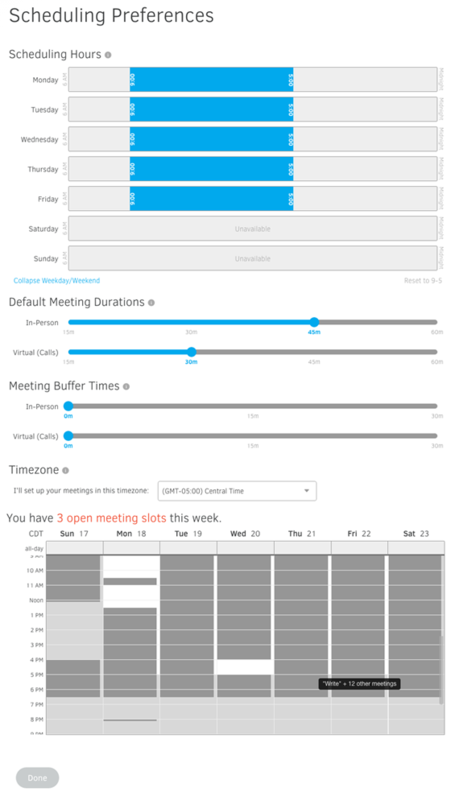 Using the sliders above, you can set your availability on each day, in one block or any number of smaller time slots, including weekends. 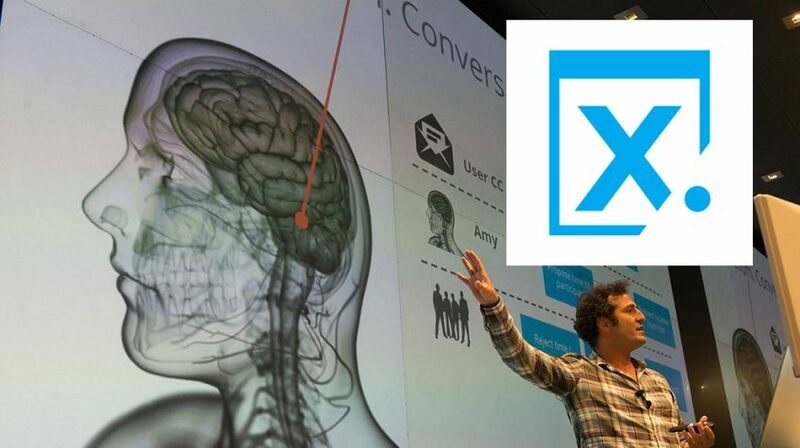 That’s right, x.ai can also be used to manage your personal life. One important note on this however: currently Amy does not know that weekdays are for work meetings and weekends are for personal meetings. x.ai recommended the following work around, “For now, don’t schedule availability on the weekends. When you do want to schedule a personal get-together, tell Amy something like this: ‘break my scheduling preferences and schedule this for Saturday, <insert date> sometime between 3pm and 4pm’”. 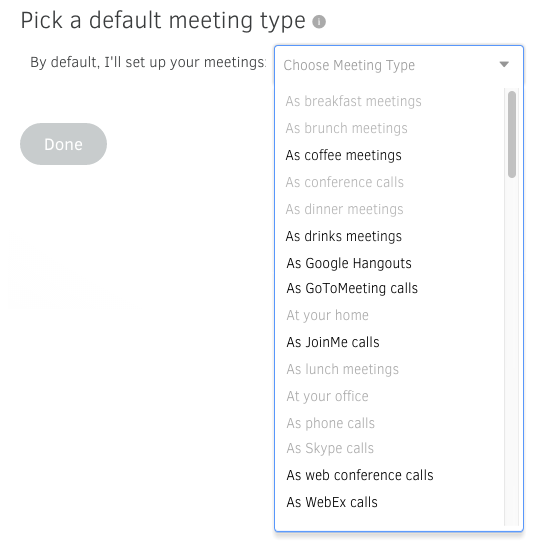 You can also set the default lengths for both live and virtual meetings as well as how much of a buffer you’d like Amy to account for both before and after each type of meeting. Amy will see any meetings marked as, “Available” as free time during which she can still schedule other meetings. 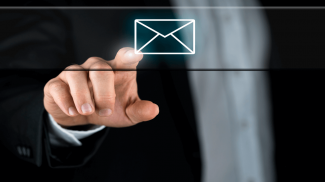 Why would you use more than one email address? One example would be a work vs. a personal email address. Amy will always respond to the address you first used to send in each meeting request so it’s a good way to keep your lives separate. 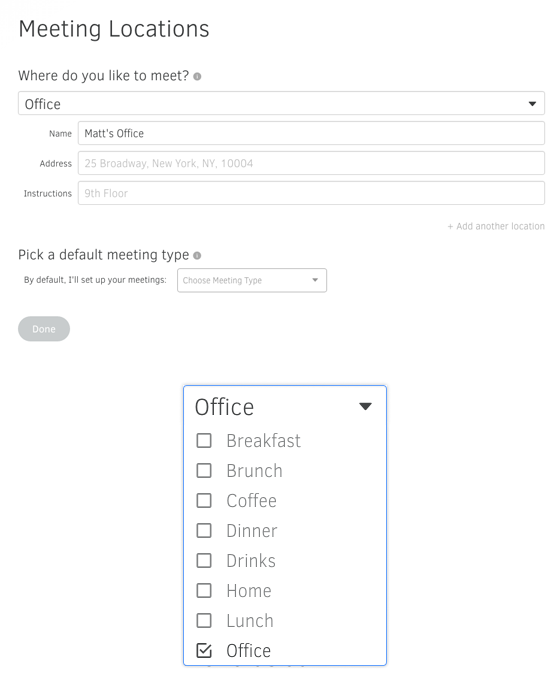 You can override that preference however by using the form underneath the address list to set an email address as the one that Amy should always use no matter which one was first used to send in the meeting request. The locations preference screen is one of the handiest features in personal assistant x.ai. First you need to enter in your office address. 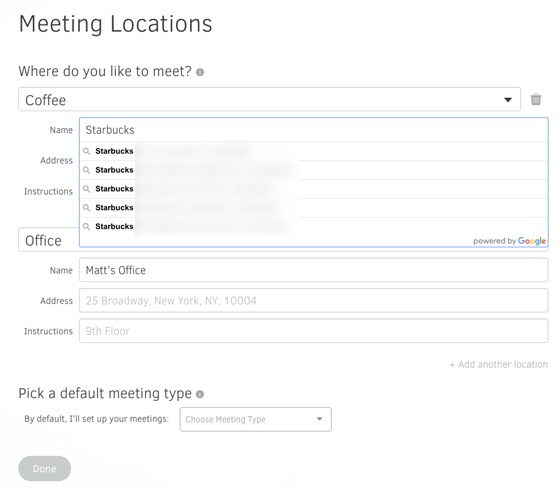 Now Amy knows where your office is when you tell her to “set up a meeting at my office”. 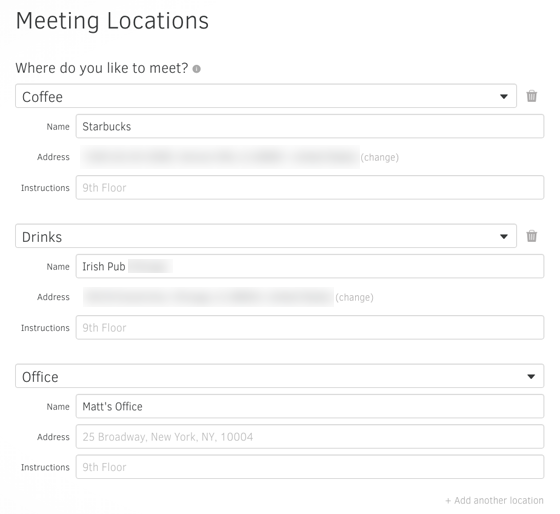 And there we go — I can now use the words “office”, “coffee” and “drinks” in my meeting requests and Amy will know where I’d like to meet and will let the other attendees know as well. 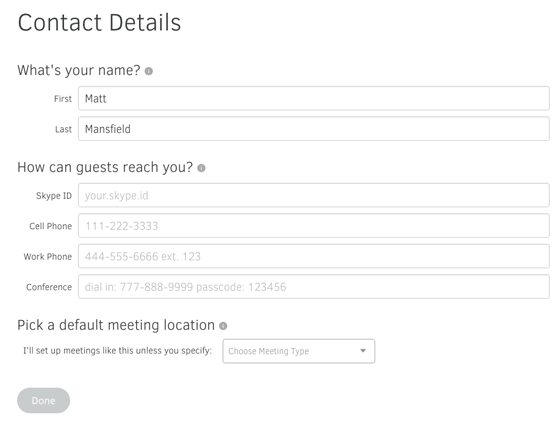 What about virtual meetings? Here’s what x.ai had to say, “In regards to auto adding virtual location links, this is unfortunately not what we do today. It is something we are working on though. 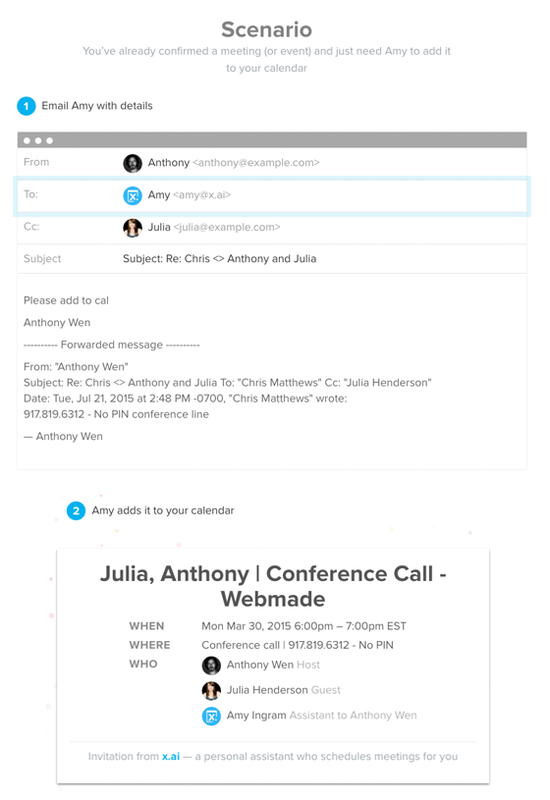 Currently, you just ask Amy to add a static Webex, Google Hangout link, etc. 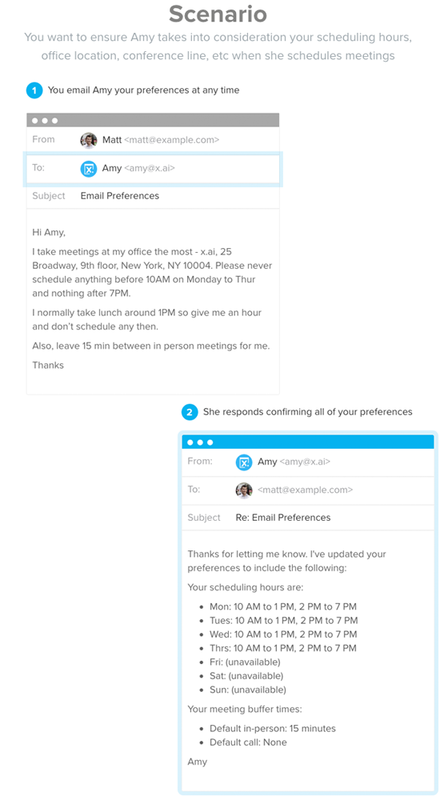 You can learn more about AI powered personal assistant x.ai and Amy (such as how many people she can schedule in a meeting at one time — the current answer is five) over on their FAQ page. While x.ai is young, the features and functionality already in place satisfy a strong need in the marketplace. Going forward, I only see tremendous potential as the solution matures. As for me, I’m already excited about bringing Amy on board so she can manage my schedule. If you’re tired of setting up your own meetings, hire her yourself and see what she can do. Saves you a lot of time if you don’t really have the time to go through your emails and schedule. But I wonder if it can really be used in full automation.